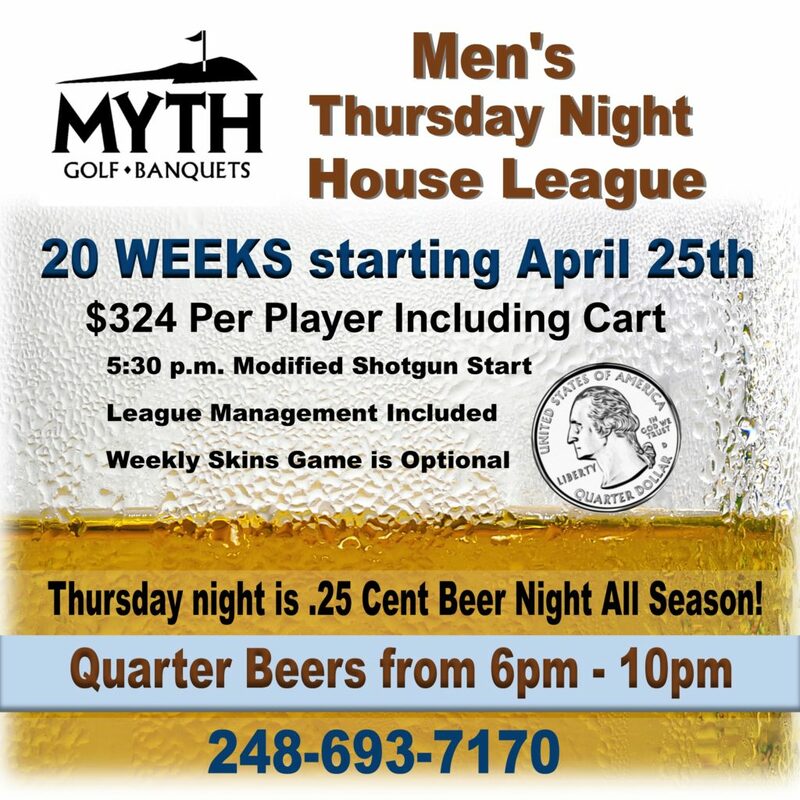 Thursday Night Men’s House League– $324 fee includes 20 weeks of golf with cart beginning on Thursday April 25th, 2019. Alternate Nine’s each week. Modified Shotgun start and optional skins game available. Men’s Golf League receives discounts on beer and mixed drinks. Enjoy .25 beer night all season long on Thursday from 6 to 10pm. Restaurant open with full menu. Call the Pro shop for more details at (248) 693-7170.